The Ordinary Spaceman: From Boyhood Dreams to Astronaut. Anderson, Clayton. Foreword by Nevada Barr..
Lincoln, NE: University of Nebraska Press, 2015. 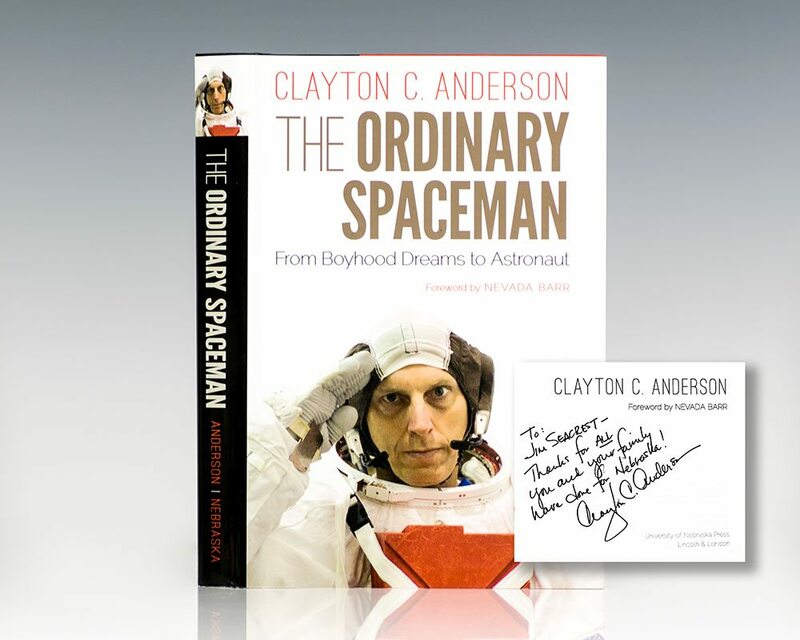 First edition of American astronaut Clayton C. Anderson’s autobiography. Octavo, original boards. Presentation copy, inscribed by the author on the title page, “To Jim Seacrest – Thanks for ALL you and your family have done for Nebraska! Clayton C. Anderson.” From the library of publisher and philanthropist James C. Seacrest. Fine in a fine dust jacket.